mined the disputed area. Warfare between the two tribes—over the game in the buffer zone—prevented the depletion of the deer which was their most important food source. 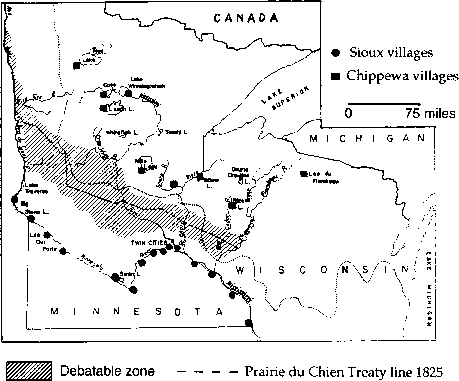 In 1825 the boundary treaty at Prairie du Chien was established between the two tribes. However, there were numerous reports of violation of the treaty in which the tribes accused each other of encroaching on the agreed territorial boundary. War broke out again in 1831, started by the Sioux (by far the more aggressive) and only prevented from a full scale outbreak by the Chippewa's patience. Famine was reported in both the Sioux and Chippewa villages from as early as 1828, only three years after the treaty which established a sort of truce. The famine reached a climax in 1831 and again in 1835 to 1838. During these famines there were frequent reports of boundary encroachments by both tribes in search of game. From descriptions of the agents responsible for the treaty observance the conditions of both tribes in the area were appalling. 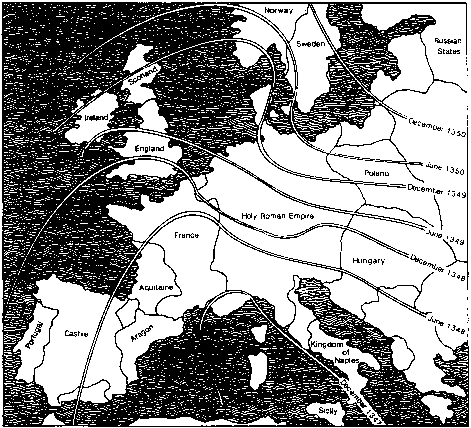 The attacks and counterattacks were often severe. In the summer of 1839 after a Chippewa incident in 1838, the Sioux killed over a hundred Chippewa who were returning from a visit to their agent. After this attack the warfare continued and the buffer zone resorted to what it was in 1826 and remained so until the reservation period in the 1850's.